Google (NASDAQ: GOOG) presented Wednesday at the annual developer conference a new voice assistant, two messaging apps, and a pack of new features for Android N and Virtual Reality. New instant apps would not require installation to work on an Android device. 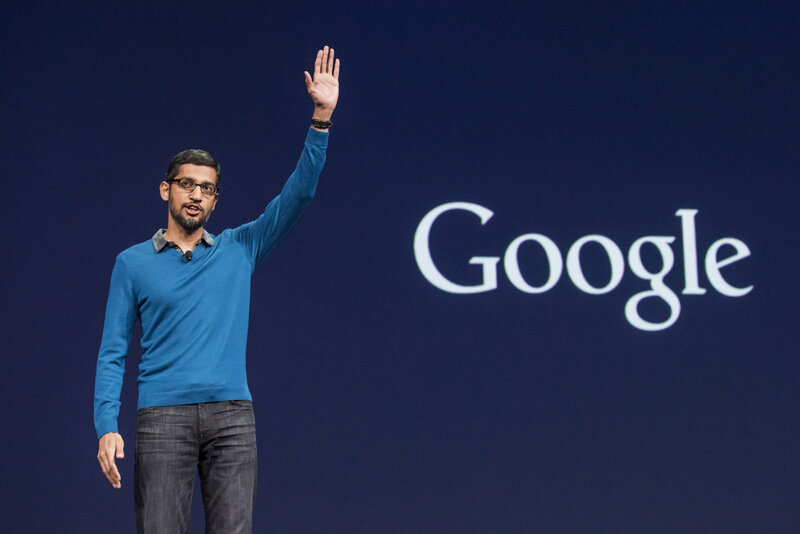 The Google I/O event took place in Mountain View, where the tech giant is headquartered. It mentioned that 17 years ago, just 300 million people were using the Internet through desktop computers. Currently, there are more than 3 billion people online, many of them using mobile devices. “In a world in which the mobile phone has become the remote control for our daily lives, Google’s mission ‘to organize the world’s information and make it universally accessible and useful’ is truer and more important than ever before,” said Google CEO Sundar Pichai. Artificial intelligence (AI) is a top priority for the company, which launched a new Google assistant. The software is described as “conversational” since it is able to engage in a two-way conversation. It would work through products using Google Home, the company’s response to Amazon’s Echo and Siri for Apple TV. People can ask a Google Home device to play a song, set a timer turn off the lights or provide information about the status of a flight. No further details were provided, although it will available in 2016 “with customizable bases in different colors”, said Pichai in a press release issued Wednesday. Allo is the new bet of the Alphabet Inc. subsidiary, for the market of messaging apps. Facebook dominates the segment, with 1 billion active users chatting via Whatsapp, and 1 billion active users texting through Messenger. The new messaging app seeks to engage users in “more expressive” conversations. It uses a phone number to work, such as Whatsapp, which means that people can add everyone at their list of contacts. It includes features such as emojis, stickers, “Ink and Whisper Shout”, said Amit Fulay and Yariv Adan, product group managers at Google. It offers a Smart Reply function to answer messages without typing. “Smart Reply learns over time and will show suggestions that are in your style. For example, it will learn whether you’re more of a ‘haha’ vs. ‘lol’ kind of person. It also works with photos, if your friend sends you a photo of tacos, you may see suggestions like ‘yummy’ or ‘I love tacos,’’ said Fulay and Adan. The app will also include the new Google assistant. Users won’t need to close Allo to make a dinner reservation or play a game, said the company. It also integrates Search, Maps, Youtube and Translation services. People can also write messages to the Google assistant, asking for details about flights, movies, personal schedule or photos from a vacation. Fulay and Adan said that “it understands natural language patterns”. As a result, users can type as if they are talking to a friend and the AI system will understand. As Google Chrome, it will include an Incognito mode that encrypts information, while offering “discreet notifications”. The company also presented the video calling app Duo, which is designed to adapt to different internet speeds. Duo has a feature called Knock Knock, which displays a live video preview of the caller when the phone is ringing. All calls on the service are encrypted, said Google. Both apps will be available for Android and iOS devices in summer 2016. Google said last year there are 1.4 billion active Android devices worldwide. The new Android N will offer improved performance for graphics while reducing battery waste and storage. It will also include background downloads and 72 new emojis. The company said it is developing a new Virtual Reality platform for mobile devices called Daydream. It will support apps and games such as Youtube, Street View, Play Movies, and Google Photos. It will available this fall, no other details were provided. New Android Instant Apps would “run instantly without requiring installation”. Users will just need to select a link and the app will appear. Google is already working with developers at BuzzFeed, B&H Photo, Medium, Hotel Tonight, Zumber, and Disney to introduce the new apps by late 2016. “As a developer, you won’t need to build a new, separate app. It’s the same Android APIs, the same project, the same source code. You’ll simply update your existing Android app to take advantage of Instant Apps functionality,” said Suresh Ganapathy, product manager at Google.